I have wanted a soccer shrine forever. Our previous house didn’t have space for one, and our current house always had a higher priority projects going on. It’s a 125 year old Victorian, and there are at least a decade’s worth of projects to be done. But we finally got enough cleaned our of our master bedroom alcove to get our shrine started. You can read about the project, see more photos, and learn about the rest of the house over at my Historic Hatton House blog, but meanwhile, here’s a teaser photo for you. 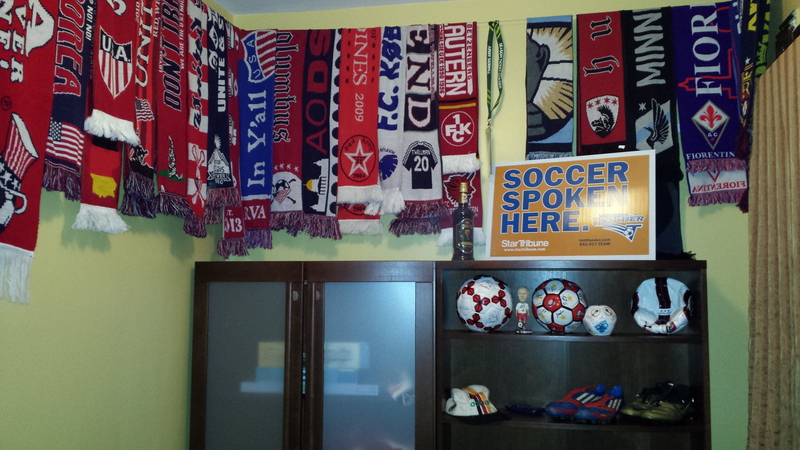 Feel free to post links to your soccer shrines in the comments.